Win Free Taxis For a Semester! Calling All Students – Win Free Taxis For a Semester! Want to WIN free taxis for a semester? 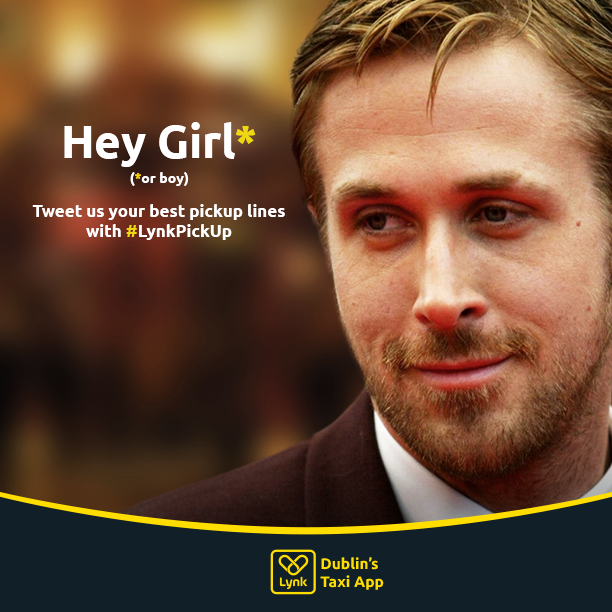 Tweet us your cheesiest, funniest or most creative “pick-up” lines to @LynkIreland using ‪#‎LynkPickUp‬ to be in with a chance! Competition ends at 10am 6th October 2015.